Here's the next excerpt from "Zhan Zhuang Wisdom - The Breath of Life"
The second aspect we shall explore is the horizontal aspect which is encompassed in Half-Moon breathing. This method derives its name from the shape the abdomen takes while inhaling. What we do is simple. First we establish three points, all of which will expand simultaneously. 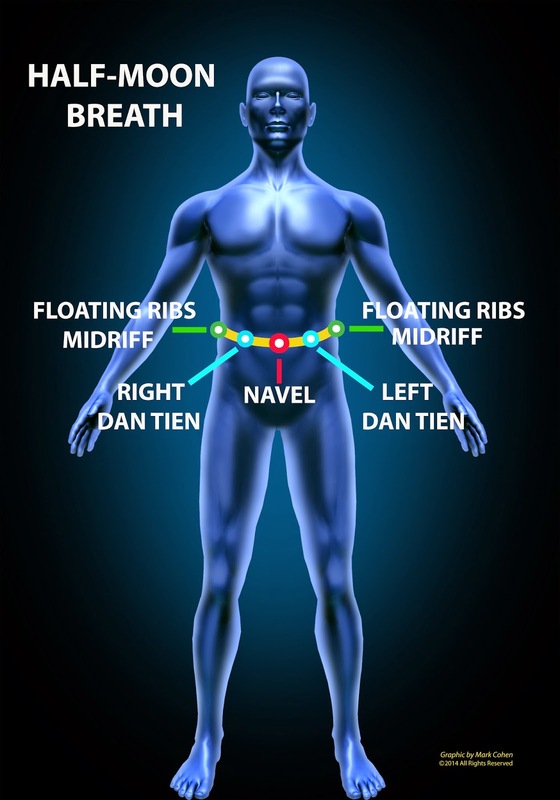 The first point is the navel or low Dan Tien region. The second and third points are found on the left and right sides of the body, in the midriff area at Jingmen Point, GB-25 just below the the free end of the 12th rib. As we inhale we shift our feeling-awareness between the navel and the two Jingmen points on either side. The idea is to ensure that all three locations have physical movement. The navel area expands forward while the left and right points expand outward in a lateral manner. Together, the expanding arc formed by the three expanding points now resembles a half moon. Along with the three points mentioned, two other points, specifically the Left and Right Dan Tiens are then added. These locations lie roughly halfway between the navel and Jingmen point on either side. Together the three basic points and these other two further reinforce and amplify the “roundness” of the half-moon. Excerpt 2 from "Zhan Zhuang Wisdom - The Breath of Life"
Here's the second excerpt from the "Zhan Zhuang Wisdom - The Breath of Life" article. Mahalo. 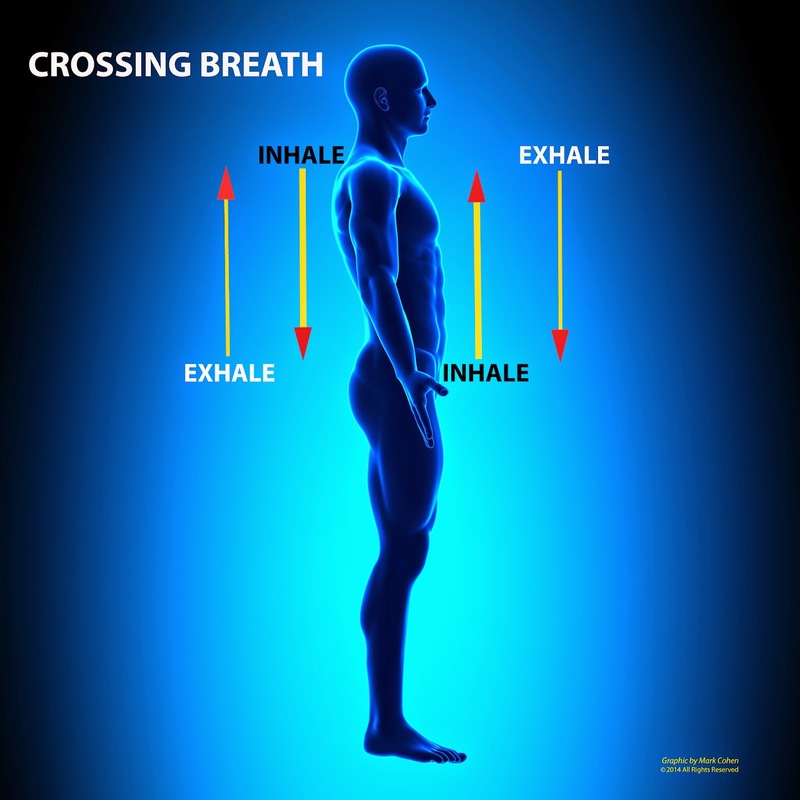 In addition to refining the vertical motions of down and up individually, the Crossing Breath begins to train the muscles to move in opposite directions or contrary motion; an essential characteristic of Spherical Breathing.’ The idea of opposite motion is also especially useful in the area of the midriff, and specifically between the External and Internal Obliques who’s job it is to move in opposite directions during proper Taiji, Qigong and of course Zhan Zhuang practices. Excerpt 1 from "Zhan Zhuang Wisdom - The Breath of Life"
It is often said in Zhan Zhuang that one’s breathing should be ‘natural.’ But what does this really mean? In one sense ‘natural’ breathing is however we happen to be breathing in each moment. Although there is truth in this, this type of natural breath often has embedded within it, various deficiencies due to injury, lifestyle or a lifetime of various habitual behaviors. That brings us to the second interpretation, wherein the ‘natural’ breath means to return to ‘embryonic’ breathing - sometimes called ‘Back to Childhood’ or ‘Spherical’ breathing - enjoyed by every human being from the time they are born, through their early formative years. This type of breathing oxygenates every cell in the body, the efficacy of which is evidenced by the infant and young child’s healthy rapid growth. In the old way of learning, breath was not taught to the novice until they were much further along in their training, usually about one to three years. The reason for this is that it was thought that as the beginner began to work out the ‘kinks’ in their body through daily practice, the breath would naturally adjust itself to the trainee’s current needs and state of consciousness. This was true for both Zhan Zhuang and Taijiquan. With Taiji, as the movements and postures opened up and were embedded with the various internal Nei Gong components, the breath would naturally regulate itself and become correct. While this is true, it was also known that, that way of training could be a long road with many twists and turns, often leaving the dedicated practitioner bewildered and at a loss as to how to progress further. This mindset was thought to be a good way to test and weed out all but the most committed and persevering individuals. when one begins to “Enter Into the Void” which can be likened to the state of Samhadi from the East Indian traditions. But before all that can happen, we will have to pass through a fair number of preliminary stages. One such stage just prior to entering into the ‘Original breath’ is when we find ourselves inhaling and exhaling simultaneously. From there, the sense of breath can disappear altogether, and yet our brain and internal organs are still being nourished. In other words we don’t pass out or faint. On the contrary, our mind and higher senses seem to have an increased sense of clarity and focus. 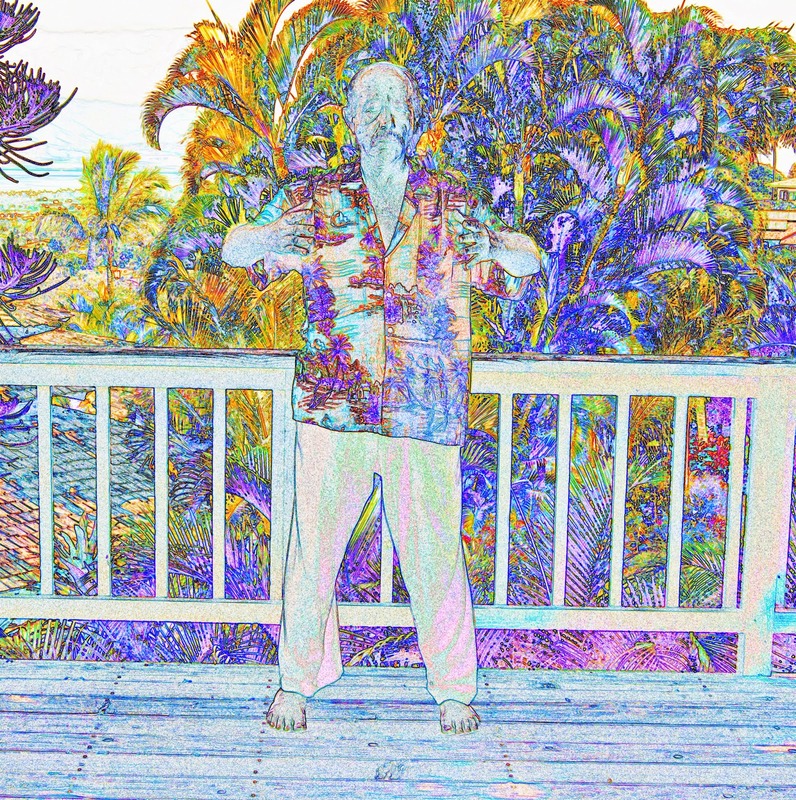 This however, is generally only possible after we have mastered the Spherical Breath which contains and creates three-dimensionality, In other words, a horizontal, vertical and depth aspect, each of which is first learned separately and then joined in various combinations until a balanced sphericality is achieved. By the way, when simultaneous inhalation and exhalation is done sharply and suddenly it can generate a powerful self-defense to absorb blows. This method harnesses the body’s Wei Qi - Defensive energy, (includes the immune system) and the Ying or Nutritive Qi and even the Organ Qi and focuses them at the point of interception or contact. This method harnesses all the body’s defensive energy in a single instant.